Discussion in 'Nikon' started by mike_halliwell, Nov 7, 2018. DoF aside, you could almost use it as an f8 preset as it's DX sweet-spot up to 350mm is pretty peaky. Your FX edges may benefit from f10. VR is measured as a reassuring 4 stops. For comparison with the 500mm 5.6 PF, under the same testing model, look here..
For the price of the 500mm 5.6 PF you could get two AF-S 200-500's and have enough left over to make a house payment. The PF is more £££s, is quite a bit sharper, has better VR and is a KILO lighter! ..and, being a prime, less flexible. I wonder what it would cost to have a 500mm f/5.6 prime with the same performance as the 200-500mm? BeBu. 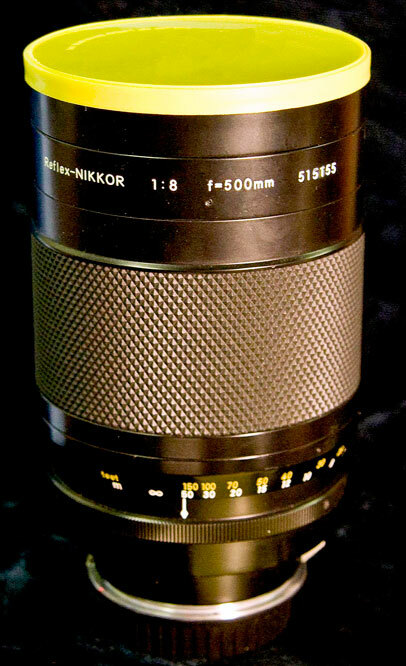 Err, you want Nikon to make a cheaper, but 'worse' 500mm 5.6 prime? More flexible, if you are shooting at 500mm and need to crop. Try getting a 200mm FOV shot by cropping from a 500mm prime! Same 'flexibility' cropping from a 500mm prime than a 200-500mm (@500mm) zoom....?? Well if you crop too deep from the 200-500, the quality will fall below expectations (or level of what is considered acceptable), so there is a limit to it. Given the higher sharpness of the 500 PF, you can retain acceptable image quality while cropping deeper. I expect that most people who use a 500mm are a lot of the time in a situation where they still can't fill the frame with the subject in the intended composition without cropping. A 70-200 can do 200mm if that's needed and given how stiff the 200-500's zoom is, probably one can switch lenses in the same time one would take to zoom from 500mm to 200mm with that lens. And with the 70-200 you can further zoom down to 70mm (which takes about 1 second and not 10). I do understand that the 200-500 is excellent value. Sure! I think the 200-500 is good enough for me but I don't need the shorter focal length. I don't want to pay for the 500 f/5.6 PF. The 200-500 is a great value if the lens works for you. My primary and major dislike is the slow AF. This isn't a problem for some (and perhaps for better photographers than I) but I've missed a number of shots waiting on it to focus. It's great for cityscapes and still animals, a challenge for anything that's moving.